Long Marton Community School pre-school is open Monday and Wednesday mornings (9am to 12pm) and Tuesday, Thursday and Fridays ALL day (9am to 3.15pm). Prior to starting school we would encourage your child to attend our pre-school sessions run during the school term. Your child will be grant-funded from the term after their third birthday but can attend from the day they are three years old (sessions are £10 each per day). You can use your grant funded hours and child care vouchers for this provision. Our 'Starting Pre-school' leaflet is available below. Miss Dixon, Mrs Metcalf, Mrs Bell and Mrs Hodgkinson run our pre-school, the children work with the Reception children in Class One. The pre-school sessions are an ideal way to introduce your child to the next stage of their development. All sessions are staffed by an Early Years teacher and qualified child-care professionals to ensure that your child receives the best care possible in their formative years. 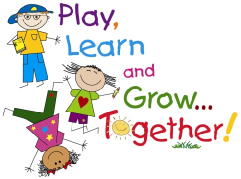 Please contact Long Marton School on 017683 61397 should you require any more information regarding our Nursery provision - booking is essential. The Breakfast Club is available from 8.00 am until 8.45 am- Monday to Thursday. The After School Club runs from 3.15pm to 5.30pm Monday to Friday (both are term time only). With a range of activities available from more physical ones through to just relaxing childr en are looked after by our team of qualified child care professionals - see list of after school club activities below. 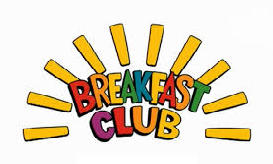 Mrs Bell runs our Breakfast club and Mrs Sowerby runs our After-school club. Pre booking is required but if you need a last minute place then please contact Long Marton School on 017683 61397 to see if there are any places available. The Breakfast Club and After school are very popular and places are limited.